Blockbuster movies, huge screens, sound that rocks your seats. There is no better, bigger or more effective place to talk to your consumers than in our cinemas. Your Show-Time ad is placed just prior to the big, bold movie trailers our guests look forward to and enjoy. 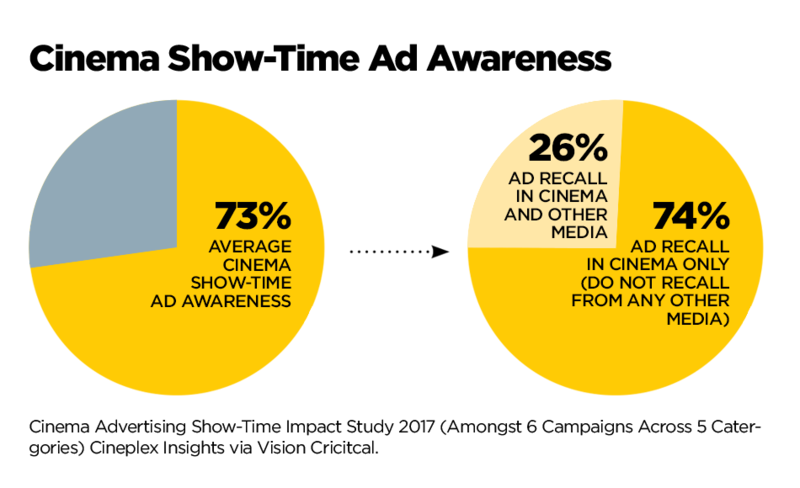 There are zero distractions (no other screens competing for consumers' attention here), just our guests watching your commercial the way it was meant to be seen, driving recall and awareness.